What to do when you get Legal Papers? It has to be one of the worst feelings in the world. You are working, perhaps at your job, or you jut got home and there is a strange person there with an envelope. You hope against hope that it is not a package from 1) the IRS and/or 2) an attorney. The person may be a plain clothes process server you have never seen before or even a sheriff’s deputy or constable. What do you do? Run? Scream? Invoke the Castle Doctrine? No. Breath. Take the papers. Be polite to that person, as they may later be a witness. If not nice, at least be indifferent. 4) Take them to an attorney. “Okay. I took the papers. What next?” Call your lawyer. DO NOT IGNORE THE PAPERS! Do not put them in the car to be forgotten. Do not pile them up with your junk mail. In most instances the moment you received those papers a potentially critical deadline began to run. That deadline can be from 2 days to 7 to 30 or 45 days, but nonetheless a clock is now ticking. On numerous occasions I have had a potential client call and say that they have Court on Wednesday. I think, “well today is Monday they can’t do that.” My next questions is when did you get the papers? “June. About a month and a half ago” Yikes. Don’t do this. Think of all the anxiety they have put themselves through with the weight of those legal papers on their mind. If you get papers take them to an attorney. Have them reviewed, know what they mean and how you need to respond to them. 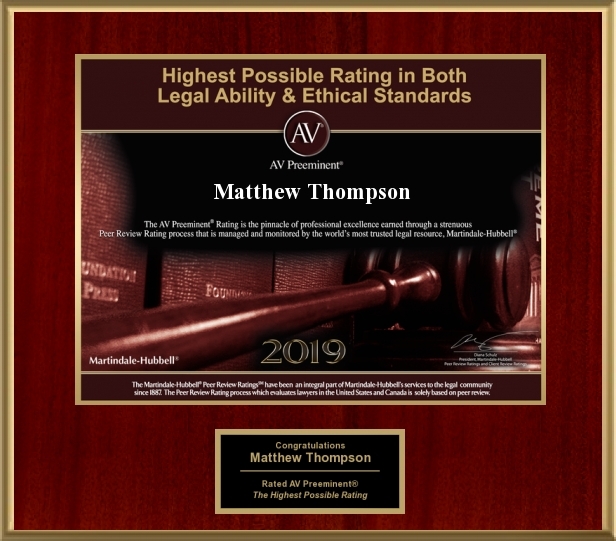 Matthew Thompson is a family law attorney and has been served papers before, so he knows what he’s talking about. Trust the Bow Tie.